A 1950 Soennecken Salesman’s Sample Case in Black! Hinged, 14.25″ x 8.25″ x 1.25″ closed, with two latches. 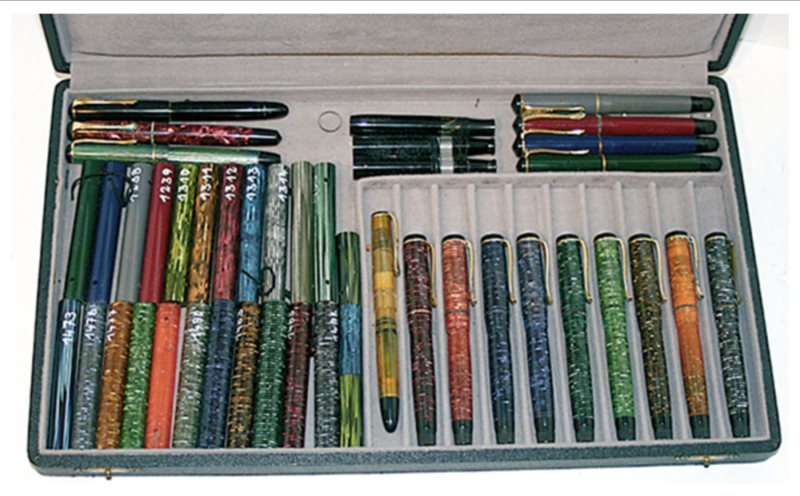 Contains 17 capped pens (no nibs or feeds) – none alike), a few pen barrels and 25 celluloid rod samples – none alike. The rod samples were originally tied together, but some of the string has not survived. 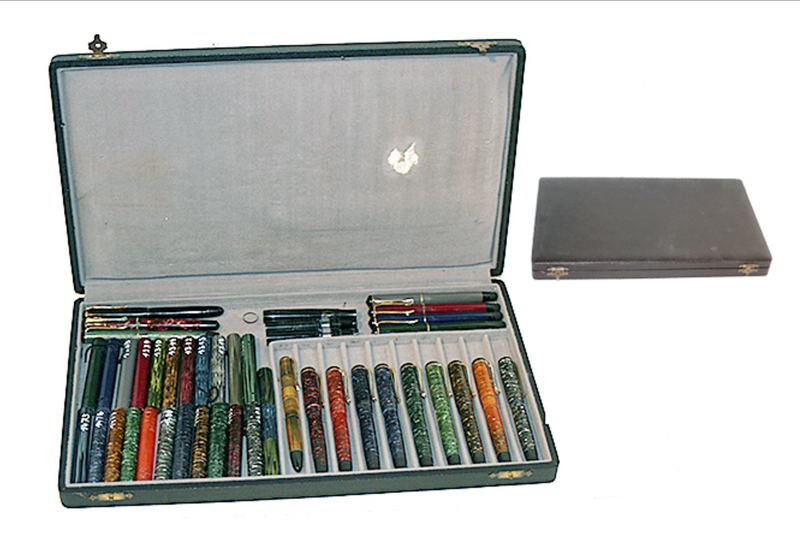 A remarkable find, with some wonderful celluloid samples. A little wear to the inner fabric, otherwise near mint. Item #25 in Catalog #82!